My Alexander Wang for Obama T-Shirt from 2008. Still believe it's a fashionable message that resonates today. Think of me as your Uncle Sam, demanding you get off your tuff and do your civic duty. Even if you’re not in a “swing” state such as Ohio or Nevada or Colorado, it does matter that you get out and vote and show the rest of the country—the world—that there is, indeed, strength in numbers. That those numbers are on the side of what’s good and positive and forward-thinking for the majority—actually, all—of this country’s citizens. As anyone who has ever gone to therapy or tried to break a habit or transform themselves knows, change cannot always happen overnight. There are some challenges that cannot be resolved in four years, particularly when it takes a village, er, congress to facilitate those changes. But I, for one, have the faith that the work that began four years ago can still be accomplished. 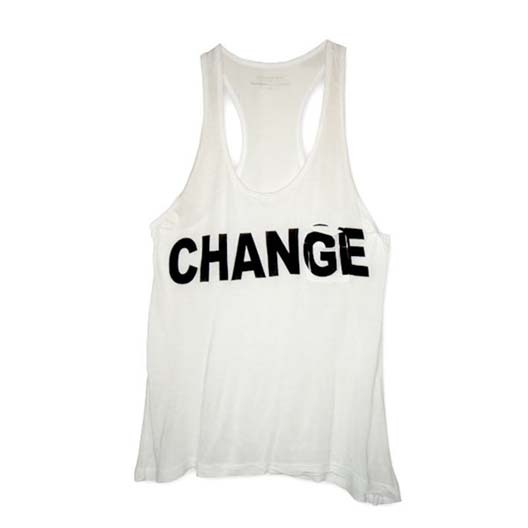 And that’s why this morning I will throw on the Alexander Wang tank the designer created for the 2008 fundraising efforts as a reminder that the job isn’t finished yet. 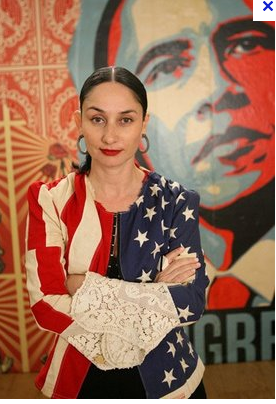 I will give the Lisa Jack portrait of a young Obama hanging in our living room another glance and remember that while I might have not agreed with every choice he’s made (including that cigarette in the photo), he’s human. And I will head down the road to my voting station here in Silver Lake to exercise my right and civic duty.